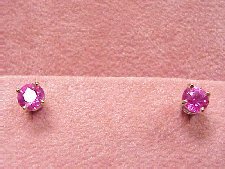 1.59CT TW AAA gem quality superb Pink Sapphire earrings set in 14K gold. 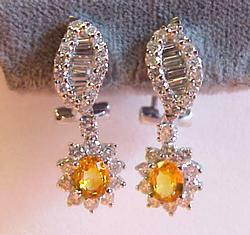 Yellow Sapphire and Diamond earrings. 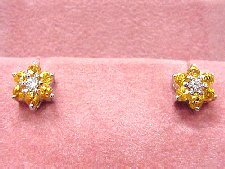 Each earring contains a brilliant diamond surrounded by six bright Yellow Sapphires set in lovely 18K gold. 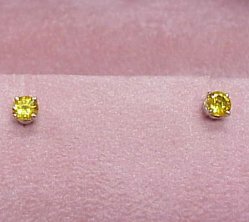 These 0.9CT TW Yellow Sapphires earrings are absolutely breath taking. 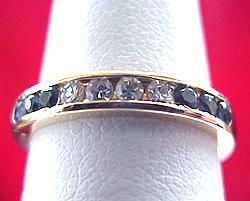 Accompanied by 1.45CT TW of round brilliant cut Diamonds of G Color, SI1 Clarity, set in beautiful 18KW gold! 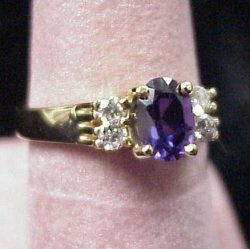 1.08CT gem Blue Sapphire with unique purple undertones, accented with four round brilliant diamonds (0.22CT TW) and mounted in 14K yellow gold. 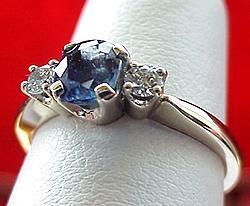 Fiery 0.55CT round, fine GEM Blue Sapphire with two round brilliant cut diamonds (0.15CT TW), of F Color, SI1 Clarity. 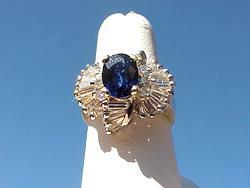 Our 14KW gold mounting accentuates this unusual fiery Blue Sapphire! 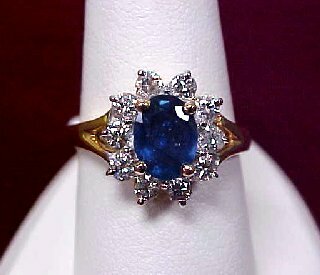 0.60CT AAA fine Ceylon Blue Sapphire mounted with 0.06CT TW full cut diamonds of G-H Color, SI Clarity, set in 14K gold! 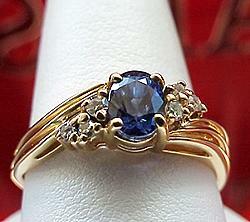 Beautiful 8 x 6mm Blue Sapphire and 0.70CT TW of round brilliant diamonds in 14K gold! Lovely 1.45CT AAA Fine Gem Quality Blue Sapphire with 1.0CT TW of G-H Color, SI Clarity round and baguette diamonds set in beautiful 14K gold. 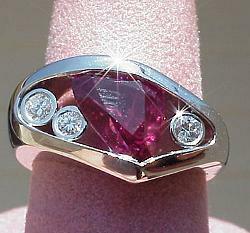 A ring that will please ANY taste! FREE sizing, shipping, handling, and insurance are FREE of course!